42 drivers, 13 linear feet and 450 lbs. It should get your attention. The size and scope of the LS9 speaker are serious. It’s ambitious and implies a confident, experienced designer. Very few builder/designers would dive into something this big in scope without knowing that it would be a success. But, ambition doesn’t guarantee success. 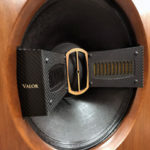 When you consider the below $10K price, it might make a prospective buyer worry that the reason they are relatively inexpensive is because the sound is “cheap.” It’s a pet peeve of mine that most audiophiles relate price and performance, when a big budget doesn’t necessarily guarantee good sound. Is the LS9 a good deal because the designer is conscious of tight budgets, or is it a deal because it doesn’t merit three or four times more money? 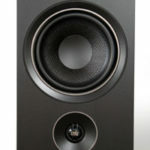 Several years ago, Danny Richie of GR Research, the designer of the LS9, envisioned the LS9 as a kit loudspeaker and licensed it to AV123 for production. The current manufacturer/distributor, Hugh Nguyen of Angel City Audio, has nothing to do with AV123. The price of the current offering is realistic to both the customer and the manufacturer. Hugh and Danny will be making money, yes, and you should want it that way. Too little profit is just as unhealthy for the consumer as an obscene profit. The current economic problems in the U.S. are the result of customers who want to pay zero for the product, and manufacturers who want to pay zero to make the product, along with retailers who want to make a profit; something has to give, usually being quality and service. I believe the current arrangement between Danny and Angel City Audio should be an audiophile’s dream come true: massive performance at a reasonable price. 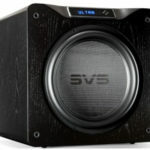 The specs for the LS9 are very impressive, as you’d hope for with so many drivers, in such a massive cabinet, there are twenty-one drivers, including nine customized BG “Neo 8″ midrange/tweeter panels and twelve custom 6.5-inch ” xbl²” woofers per speaker. A word about the efficiency of a line-source: The rated sensitivity of the LS9 is 91dB, with one watt input, measured at 1 meter. However, industry measurement is only partially useful in real listening conditions. Who sits three feet from a speaker this big? Yes, they are 91dB with 1 watt/1 meter, but a line-source doesn’t lose the same amount of loudness, with doubling of distance, as a typical point-source loudspeaker. 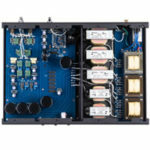 Point-source speakers emulate a single driver, whether or not they have only one driver. For it loses only 3dB for each doubling of distance. With a 1-watt input, measured at 2 meters, the LS9 is equal to a point-source that is 94dB efficient at 1 meter. At 4 meters, with a 1-watt input, they are equal to a point-source that is 97dB efficient at 1 watt, measured at 1 meter. So, at my listening position, which is around twelve feet from the speakers, they sound like 97dB/watt/meter efficient speakers. That means amplifier power is more efficiently used for a line-source. While talking about the efficiency advantages of a line-source, it is also a good time to mention a couple other benefits. First, and this should seem immediately obvious, there are so many drivers sharing the workload that distortion and/or compression from driver overload is not an issue. You’d need thousands of watts to cause gross distortion with these drivers, and there’s a good chance you’d burn up a resistor or capacitor in the passive crossover before all that power would damage a driver. Case in point, Danny tells me he’s never had a crossover burn out or fail, which means nobody has used power considered excessive by the speaker yet. Come to think of it, why not connect these to the Hoover Dam, with a suitable step-down transformer of course, and see which gives out first? Second, because the individual drivers are loafing along, barely breaking a sweat, inter-modulation distortion is very low, on the level of headphones, ESL panels, and other large planars. You expect them to play really loud, but at average volumes, the drivers might as well be headphone drivers. Even before a point-source driver is grossly distorting, it is producing fairly massive amounts of IM and harmonic distortion. Compared to any amp, even bad sounding ones, a point-source produces scads of distortion. The line-source, because the drivers are sharing such a small workload, doesn’t have much distortion, from “normal” listening, to piss-off-the-neighbors loud. During listening, these assumptions proved to be true. Though I don’t have proper measuring equipment for speaker evaluation, I’m positive these speakers were producing less distortion of almost every type I can think of. $7,500/pair Satin Rosewood, $8,500/pair Piano Black, $9,500/pair Piano Rosewood, $10,500/pair Piano Birdeye Maple. Prices include the custom bases. I found the discourse on these speakers both educational and inspiring; I was working on editing a scientific manuscript and had to just STOP and read the whole post. This is not a good thing… or maybe it is. It reminded me of my teenage obsession with Klipsch-horns; loved all the technical detail. My home theater is not even close in quality to the AVS forum posting of featured HT that used these speakers. But my friends, family and I enjoy my system immensely and I am afraid serious upgrades are in my future. If so, that is mine 🙂 Love these LS’s.